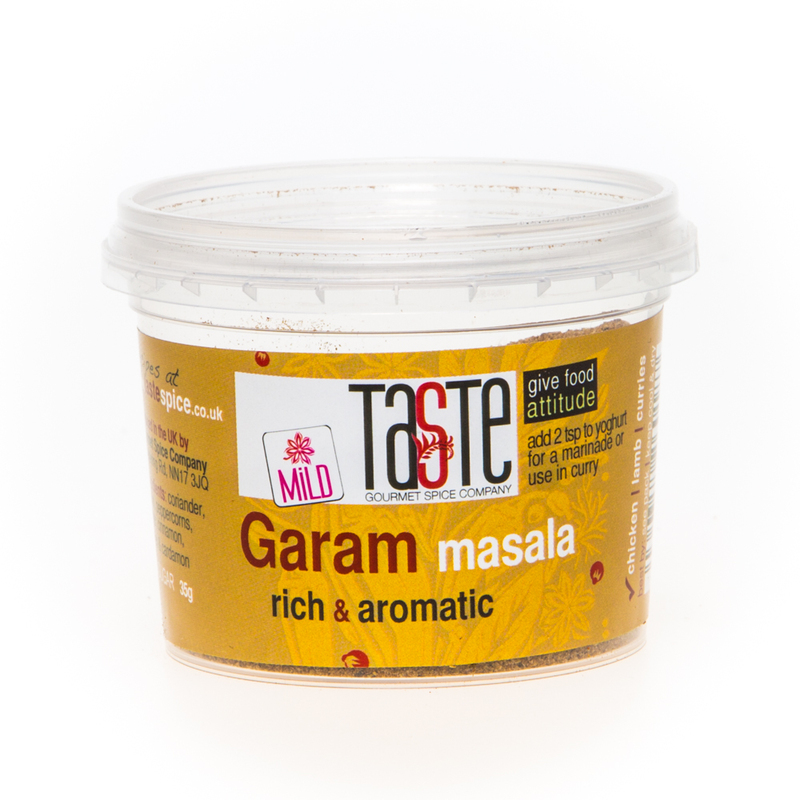 A store-cupboard essential and a staple of Indian cookery, our freshly ground Garam Masala is a balance of incredibly fragrant spice. Use as an addition to almost any Indian dish, or as a standalone spice blend in its own right: a pinch on lamb cutlets before cooking as normal gives a huge flavour boost! Rich, earthy and fragrant, this mild blend also works well with chickpeas, vegetables, potatoes and much more. Add a teaspoon to yoghurt with a squeeze of lemon juice for a terrific and simple marinade. Perfect for any slow food or for spicing up samosas, flat breads or pitta breads – try a pinch on scrambled eggs too!